The power of live streaming. Full disclosure, I was quick to minimize Periscope when it initially launched. As a lover of social media in my personal life, I thought it was pretty cool—another fun way to post personal content and interact with friends and followers. I didn’t really appreciate its potential impact as a marketing tool. Then I took a look at the numbers and realized it was time to take notice and action. Within a few months of launch, Periscope revealed it had 10 million registered accounts and was just shy of 1.9 million daily active users. Unfortunately, we’ve not seen a firm update to those figures since then. However, in a company blog post, Periscope revealed that in the first year users created more than 200 million broadcasts and that every day they were watching a combined 110 years’ worth of video. These numbers are significant and truly illustrate just how viable live streaming can be for brands, especially if you’re trying to reach younger audiences. How can you make Periscope work for your brand? The idea of live streaming can be pretty intimidating at first. Unless you’re a practiced public speaker, “going live” might not be your thing. Couple that with the fact that Periscope is a truly interactive experience (users can comment in real time), and the butterflies really start to mobilize. Fear not; no one expects you to be a professional TV host or programmer, and as long as you have a game plan going in, there are many ways you can use tools like Periscope as an effective and impactful part of your social strategy. 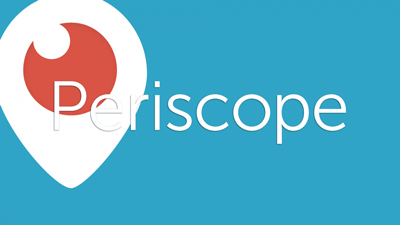 Here are a few ways to kick off your Periscope programming. No doubt your brand spends a good amount of time on the road each year. Often it’s a one-to-few experience. Periscope is a great way to serve up your road efforts to the world. If you’re at the NAMM Show each year, take advantage of content all around you. 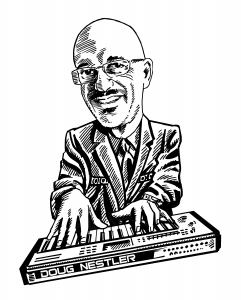 The vast majority of your customers will never have the opportunity to attend this mecca of music gear. Broadcast what’s new at the booth. Better yet, give them a guided tour of the show floor, and give them a front row seat to the greatest trade show on earth. Clinics are another great broadcasting opportunity. While you’re hosting a clinic on the retailer floor, give your remote audience the opportunity to tune in. Wherever your brand is, keep your mobile device at the ready to broadcast your message. Periscope offers a great opportunity to expand upon and supplement traditional communications. When you drop a press release for a new product, support it with a live stream introducing your new gear. Once you’ve introduced them to the new product, show them how it works with an interactive demo or tutorial. Real-time questions will give your audience the unique experience of getting to know your product right from the expert. If you’ve got some killer talent endorsing your brand, you’ve also got your hands on some pretty exclusive and coveted content. Player interviews, live performances and backstage access are great ways to captivate both loyal and potential customers. There’s nothing that strengthens loyal audiences more than getting a sneak peek at what’s happening behind the scenes. Showing what goes on behind the product build is a great way to start, but if you really want to connect with your audience, show them the guys at the top. The brand’s ownership and top-most management are the brand influencers, the people who drive the vision behind the products that turn customers into fans. Offer those fans and ambassadors the unique opportunity to meet the brand’s leaders. If you’re particularly bold and confident in your brand, Periscope can be a great way to get some honest customer feedback. Hosting live Q&A sessions will give you great insight into what you’re doing right, what you’re doing wrong and what your customers would like to see from you. You’re hearing it from the dealers anyway, so why not get the scoop right from the source? Periscope, like anything else, isn’t going to be a silver bullet, but it can be an effective tool in your marketing playbook. As with any social channel, start with a solid content strategy, and you’ll be on your way to a successful “brandcasting” career.